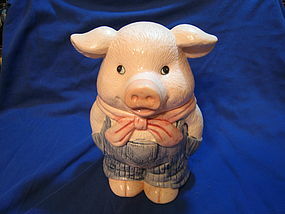 Ceramic pig wearing blue denim overalls and bandanna cookie jar. It has no chips, cracks, breaks or rough rim. I need your zip code to calculate the postage.